The trade that’s carried out with the EU will broadly follow the customs controls that apply for the rest of the world, and there’s likely to be an increase in demand for customs agents’ services from traders who had only worked within the EU before, or traded both within the EU and with the rest of the world. So you’ll need to adapt your business to comply with these new systems, processes and controls. You can expect to see an increase in demand for customs services from the traders who have only traded within the EU to date. If you’re established in the EU and are making import declarations on behalf of UK clients, you’ll need to have a European Economic Operator Registration and Identification (EORI) number as well as a UK EORI number - HMRC wants to ensure that traders have access to the right authorisations ahead of 29 March to ensure trade can keep flowing. Once you have your UK EORI number it can take 48 hours before you can use it to make declarations using the Customs Handling of Import and Export Freight (CHIEF) system. 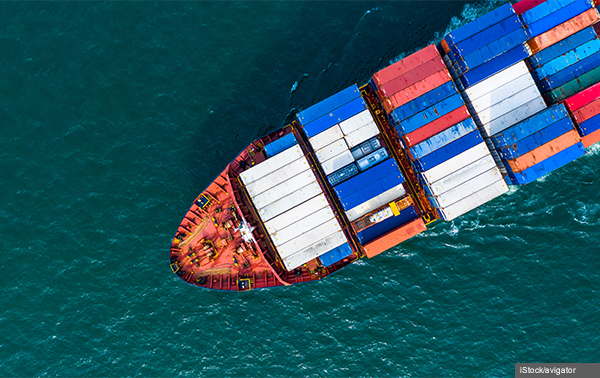 HMRC have published further information specifically for importers, exporters, carriers, and port operators who trade with the EU through roll-on roll-off locations. It includes new and temporary easements to support continued trade fluidity at these locations. When using roll-on roll-off (RoRo) transport, for example ships designated to carry wheeled cargo such as lorries, you’ll need to have information from traders about goods, in order to pre-notify HMRC of consignments. You’ll also need to know transport information from the haulier – such as the registration details of the vehicle that goods are travelling in – and communicate with them if they need to go to a specific inland location, such as a Designated Export Place for certain exports. Assess the impact of any increased demand for customs declarations on your business, and whether you need to recruit and train additional staff. Consider any changes you may need to make if you have to follow the same or similar processes for EU trade as you do with the rest of the world. Inform businesses if they need to register for a UK Economic Operator Registration and Identification (EORI) number in addition to an EU EORI number, or register for the UK EORI number of their behalf. Read more about the information you will need to apply for an EORI number. Stay up-to-date with these changes by registering for email alerts. Follow the link, add your email address, select ‘Submit’, select ‘Add subscription’ and choose ‘EU Exit’ then select ‘Submit’. The passport rules for travel to most countries in Europe will change if the UK leaves the EU on 29 March 2019 without a deal. Read more about travelling to the EU with a UK passport if there’s no Brexit deal and, if relevant, ensure your employees and customers are aware of the potential changes. Consider checking with your customers that they are aware of the potential changes and how these could impact their business, and suggest they also register for email alerts.